Dirty tricks? 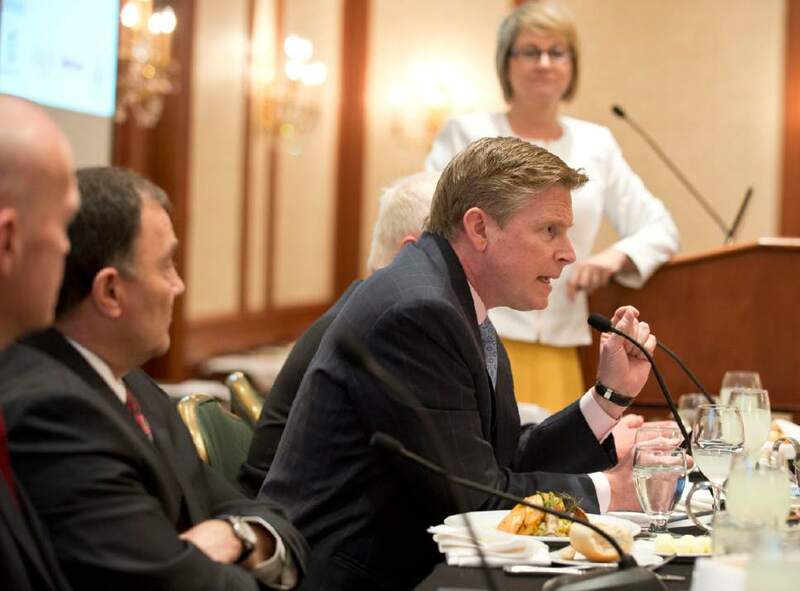 • Herbert campaign says sharing info was innocent; candidates had heated exchange. 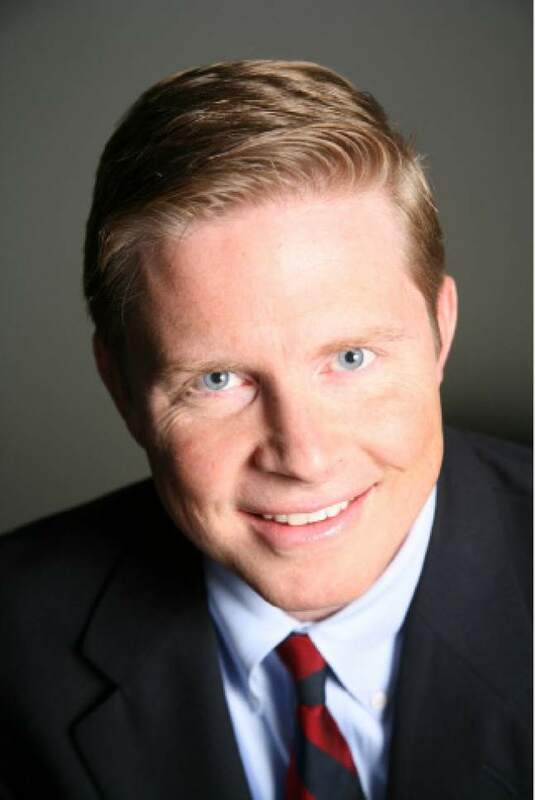 Utah Republican gubernatorial candidate Jonathan Johnson has asked the attorney general to investigate who inside Gov. 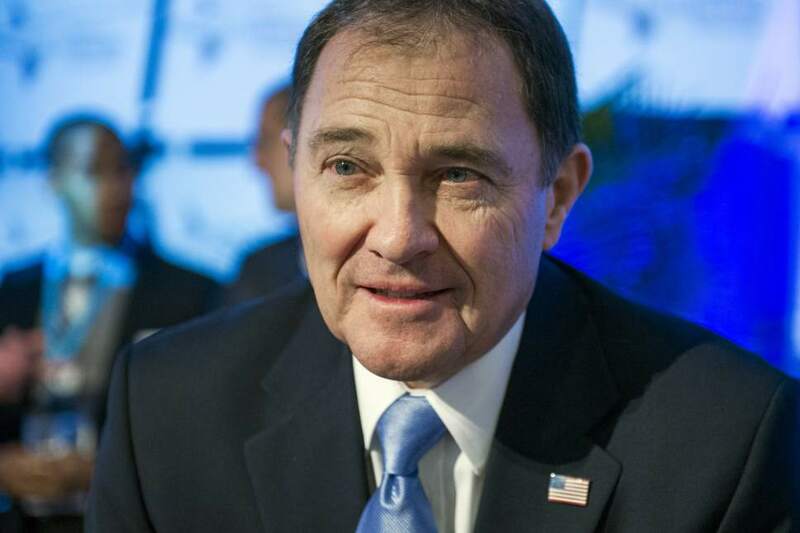 Gary Herbert&apos;s campaign got access to a government record with Johnson&apos;s personal information and shared it with a state senator who posted the information on Facebook. Investigators from the attorney general&apos;s office have interviewed Johnson and members of his campaign staff and, according to Johnson, identified three laws that may have been broken in the dissemination of a voter-registration form Johnson filled out five years ago. 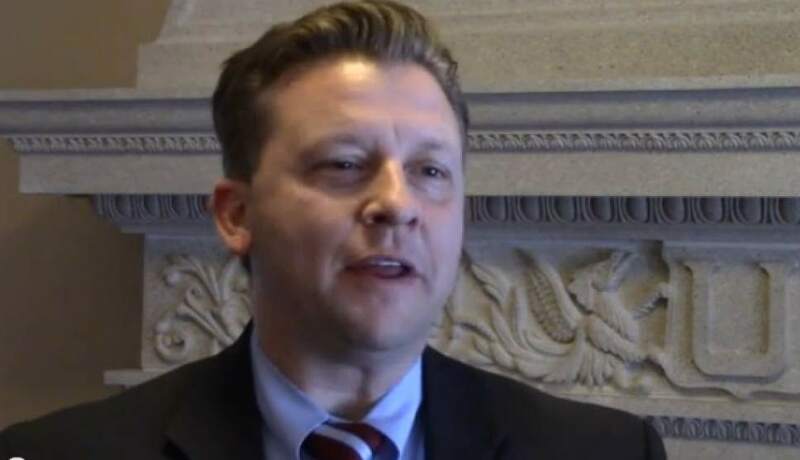 The issue stems from a copy of a voter-registration form that was posted on Facebook in January by state Sen. Todd Weiler, R-Woods Cross, questioning why Johnson hadn&apos;t checked the box affiliated with the Republican Party. "I&apos;d like to see [Weiler] prosecuted. I&apos;d like to know where this came from. … I know campaigns are bare knuckle and fisticuffs. I get that. I&apos;m trying not to run that kind of campaign," Johnson said in an interview this week. "I think the person that accessed it and anyone who is part of that daisy chain that gave it to Todd needs to be prosecuted, because it was done purposefully." The document in question included Johnson&apos;s address, date and place of birth, the last four digits of his Social Security number and other information. Most of the information, with the exception of his partial Social Security number and birth information, is available on his candidate-filing form. The information should have been redacted by the Salt Lake County clerk&apos;s office, but it was not. Notwithstanding the oversight, Johnson&apos;s campaign said Herbert&apos;s camp shared the document "maliciously" and Weiler failed to remove the post for days. Weiler acknowledges that he posted an image of the form in two Republican Facebook groups, but he said he thought it was a public document when he did. "I got a screen shot texted to me, and I looked at it and thought it was a voter registration form," he said. "All I know is someone, and I don&apos;t know who it is, someone filed [an open records] request and that was produced to them in a legal process. It may have been a mistake. I didn&apos;t illegally obtain it, and when I was contacted and asked to take it down, I did." Johnson said it took Weiler days to take down the document after he asked him to do so in a meeting at the Capitol. Weiler would not say who texted him the document or whether he had been interviewed by the attorney general&apos;s office. He has hired a lawyer, prominent defense attorney Ed Brass. Herbert&apos;s campaign spokesman, Marty Carpenter, said the campaign came across the record while researching Johnson&apos;s history as a Republican. "We heard a rumor Jonathan Johnson was not a registered Republican. Rather than spreading a rumor, we requested a copy of a public document from the county clerk, which did, in fact, verify he did not register as a Republican," Carpenter said. Johnson said the reason the box wasn&apos;t checked was because he was already registered as a Republican and his secretary filled out the renewal. 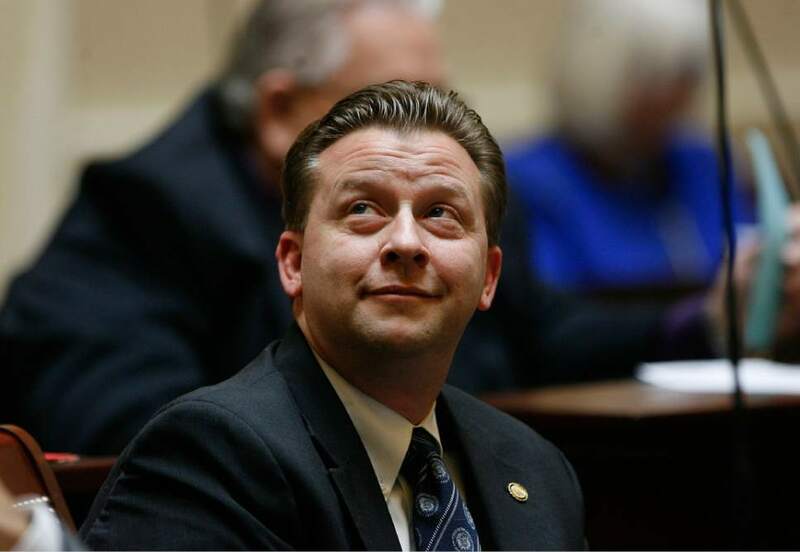 Voting records show he has been a registered Republican since he first registered in Utah in 2000, said Salt Lake County Clerk Sherrie Swensen. The records request was part of a broader opposition research effort  commonplace in political campaigns  conducted by an outside consultant. Carpenter acknowledged that a member of the Herbert campaign staff shared the document with Weiler, but did not publish it more broadly. Because it had been obtained through an ordinary records request, there was no reason to believe that sharing the information would have been a problem. State records law specifically classifies as "private" the portion of a voter registration form that includes an individual&apos;s driver license number, the last four digits of the Social Security number, an email address and the applicant&apos;s birth date. The information should have been redacted from the document by the clerk&apos;s office, but it was not when it was provided to Herbert&apos;s research consultant in October. It is a class B misdemeanor for a public employee or individual with access to a private record to intentionally release the information. There is no indication it was intentional. Johnson&apos;s attorney, Mark Griffin, filed a complaint with the attorney general&apos;s office in January, asking for an investigation. Dan Burton, a spokesman for the office, said the office had received a complaint but he could provide no further information. The attorney general generally will not comment on ongoing investigations. Carpenter said nobody from the Herbert campaign has been contacted by investigators. Swensen also said her office had not been contacted and she didn&apos;t know anything about the dispute until The Tribune inquired about it Tuesday. Johnson said he met with two agents, with "badges and guns" and "Public Corruption Unit" on their business cards. The investigators also met with three campaign staffers, including the campaign manager, Dave Hansen. Johnson, the former CEO and current chairman of Overstock.com, said if he had put a customer&apos;s personal information online, "Sorry, doesn&apos;t cut it." "To me, this reeks of special treatment in a good ol&apos; boy system where we&apos;ve had 12 years of this current administration, and it&apos;s why we need change," Johnson said, referring to Herbert&apos;s time as lieutenant governor before ascending to the top post. Jeff Hunt, an attorney who specializes in open-records law, said the records law only applies to government employees and that the dissemination has to be done intentionally. It doesn&apos;t apply to members of the public who receive private government records, nor does it prohibit them from publishing the information. Someone whose private information is publicized could file a civil lawsuit claiming their privacy had been invaded. "I think it would be an uphill battle, because the government released the information," Hunt said. "If he had some knowledge that it was a mistake and he published it anyway, you could get a little more traction with that, but he probably just assumed that, if it was released by the government, he could do what he wanted with it. It was public information. That makes the invasion of privacy claim more difficult to make." Meanwhile, the dispute spilled over into a confrontation in the parking lot outside of a meet-the-candidates night in Utah over the weekend. Johnson said he asked Herbert staffer Heather Groom whether the campaign had a role in publishing a document with his personal information and Groom said it hadn&apos;t. Johnson said he asked the same question of Herbert and the governor said the campaign was not involved in any way. Johnson said he tried to keep things calm, but he said the governor got heated. Groom posted on Facebook that it was Johnson who asked "badgering questions in the form of accusations and even a few personal attacks/threats," and that Herbert intervened to calm Johnson down and tell him not to talk to his staff in that tone again. Witnesses on both sides, who asked not to be named, said the other was the aggressor.